Leading the program will be soil scientist and MacArthur Fellow Dr. David Montgomery (right), author of books like “Growing a Revolution” which makes the case for agriculture that is profitable and productive that cools the planet and restores life to the land. His interests lie at the intersection of the solid earth – the rocky crust beneath our feet – and the ever-changing processes that sculpt its surfaces. And a farmer panel featuring Jerry Ackermann, Grant Breitkreutz and Dan Tiffany. The MSHS also features scheduled opportunities to network with these speakers and other attendees; past attendees have said the one-on-one conversations that take place at this conference were alone worth the cost of admission. 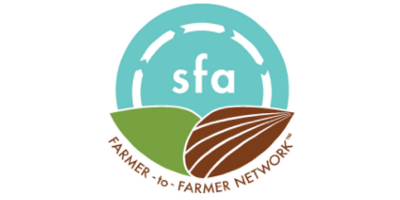 Scholarships Still Available: Also, on March 11, SFA will also host a dinner and soil health overview for Professional Development Scholarship recipients. Scholarships are still available for ag service professionals to attend the MSHS. To apply, click here. Info on scholarships: Wayne Monsen at wayne@sfa-mn.org. No comments were found for Network Directly With Leading Soil Health Experts at Midwest Soil Health Summit; Scholarships Still Available. Be the first to comment!